EDAQS | DICE: The banknote of the future valuated at an average of $5.6 Billion. 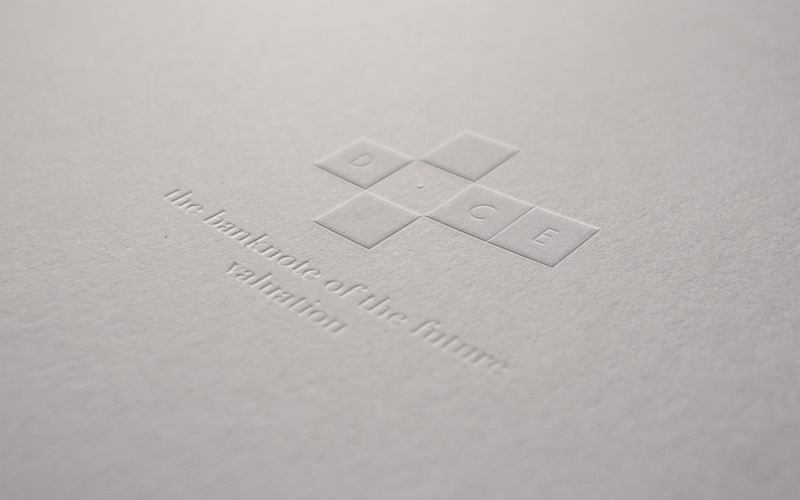 First external valuations of the DICE venture has resulted in a conclusion of value averaged at $5.6 Billion. EDAQS restructures venture to meet new policies and skips start-up strategy for DICE. EDAQS, owner and developer of the banknote of the future “DICE”, announced today its plans to skip a scheduled seeding process to immediately raise capital in a Series A financing after undisclosed capital investors and EDAQS lobbyists have shown interest to jointly take over the global implementation of the innovative and futuristic banknote system. The company also announced that its board of directors has approved, in theory, a plan to secede DICE from the EDAQS to form a new company for this procedure. The company will use the Series A funds to deepen its product capabilities and expanding its priority markets. As part of the planned spin-off, the new company will create two strong market leaders with distinct brands, partners, operating characteristics and industry dynamics. In the last few months EDAQS has been quietly and rapidly working behind the scenes with several developmental and governmental partners on this front. The EDAQS board will further meet to finalize the decision on May 29th, and an announcement may come as soon as June 1st. In another statement, Reimund Homann (Head of Security and Artificial Intelligence) underlined the intention to further invest in the development of DICE’s new code technology as an alternative to RFID-chips. “Over the past months, we had the chance to retrieve opinions and feedbacks from diverse official positions that have motivated us to offer a machine readable code-based solution for the market. A new sophisticated RFID-variant is still the measure of all things and even though the DICE-banknotes are never directly identifying its possessor without the explicit wish of the same, we think that custom 3D- , 2D and 1D-codes are always a great option to use with the DICE security system and to use as a fall back on RFID-notes too.” the German scientist concluded. Following a series of external appraisals of the DICE, the technology that is officially classified as Governmental Reformation Venture, has been estimated at an averaged valuation of $5.6 billion*, covering an Intellectual Property value of $204 million. Relevant analysts see these numbers within a hypothetical pessimistic scenario and are optimistic about EDAQS’s innovative and futuristic banknote system with the planned spin-off and more offerings from official and private parties. A successful Series-A round is expected to rise the property value to a number that exceeds the current value by a multiple factor. * The applied valuation methodology is available upon request to financial analysts and advisors at the official press contact. DICE (Dynamic Intelligent Currency Encryption) is an exceptional hi-tech achievement, which solves thousands-of-years old problems and guarantees unforgeable banknotes, securities as well as other important documents. Since time immemorial, cash determines the social and economic life of our society and just as long, humanity suffers under the cash related risks and problems that arise until today and foster the crime. In addition to the persistent counterfeiting, which affects virtually every country and currency system, holdups and bank robberies are a present problem that could not be solved until now and needs to be addressed. The DICE procedure was developed to consequently solve all security-related complications of cash systems today, and to fight global criminality while protecting the citizens. Based on identifiable banknotes, preferably with custom-frequency secure RFID chips or machine readable codes like Datamatrix, the DICE integrates reliable and innovative technologies that combine their advantages to incorporate them into an optimized security.